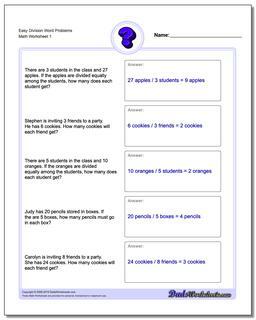 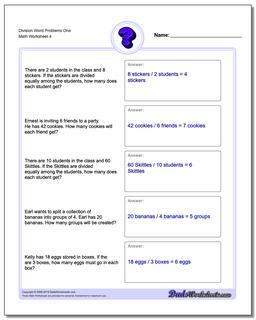 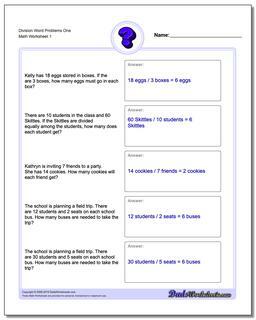 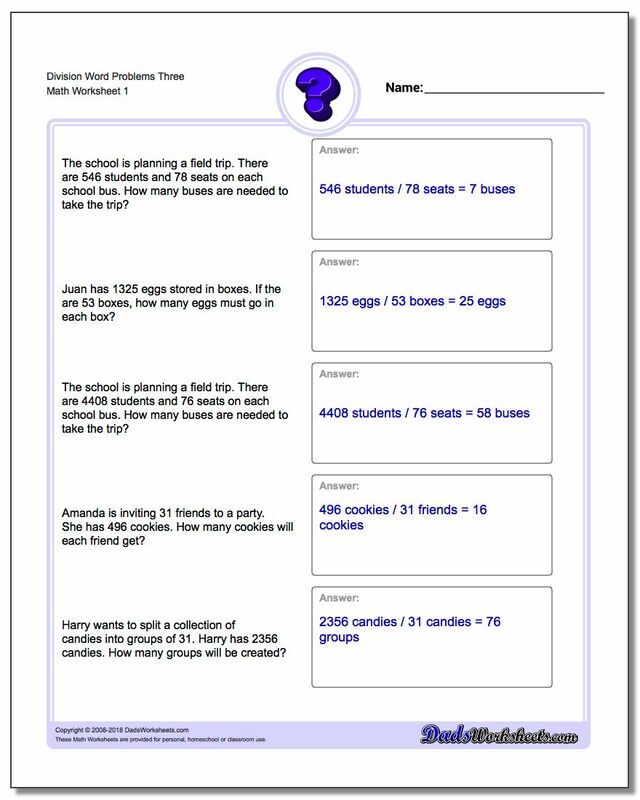 These division story problems deal with only whole divisions (quotients without remainders.) 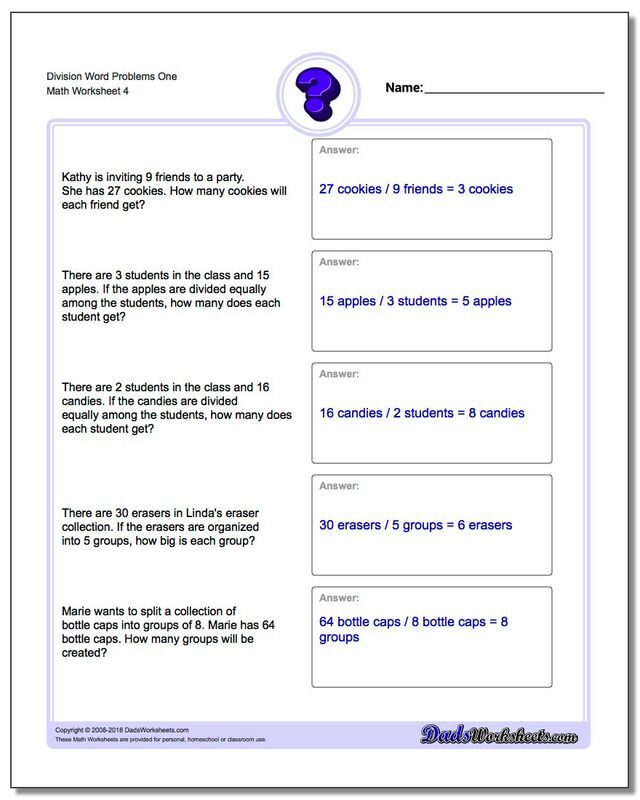 This is a great first step to recognizing the keywords that signal you are solving a division word problem. 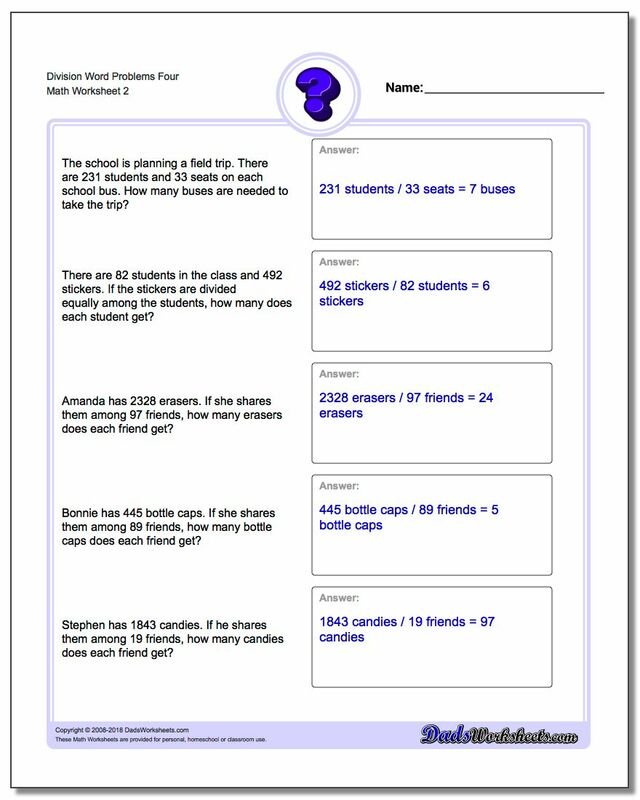 Division word problems can be some of the more confusing problems for students to understand. 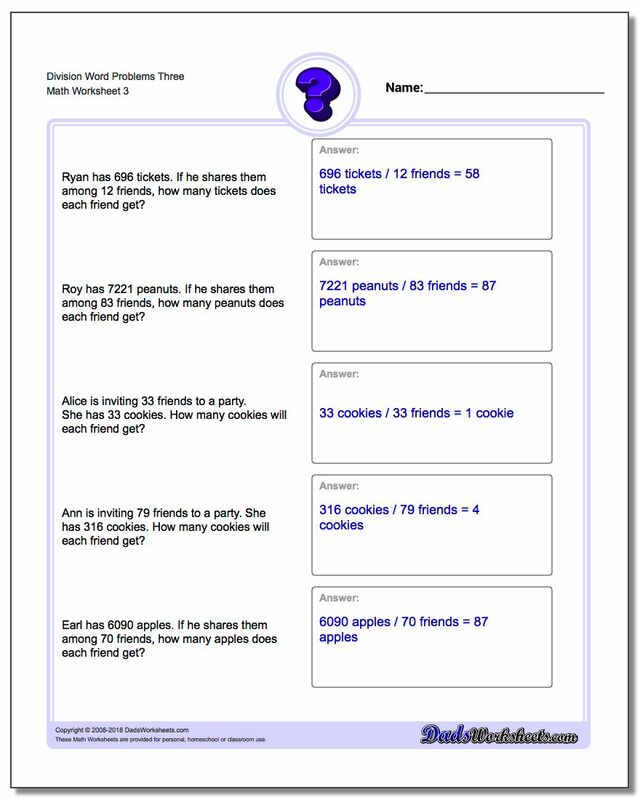 Many division problems will use words like 'share among' or 'give to each' or similar phraseology to imply that a total amount is to be split evenly into groups. 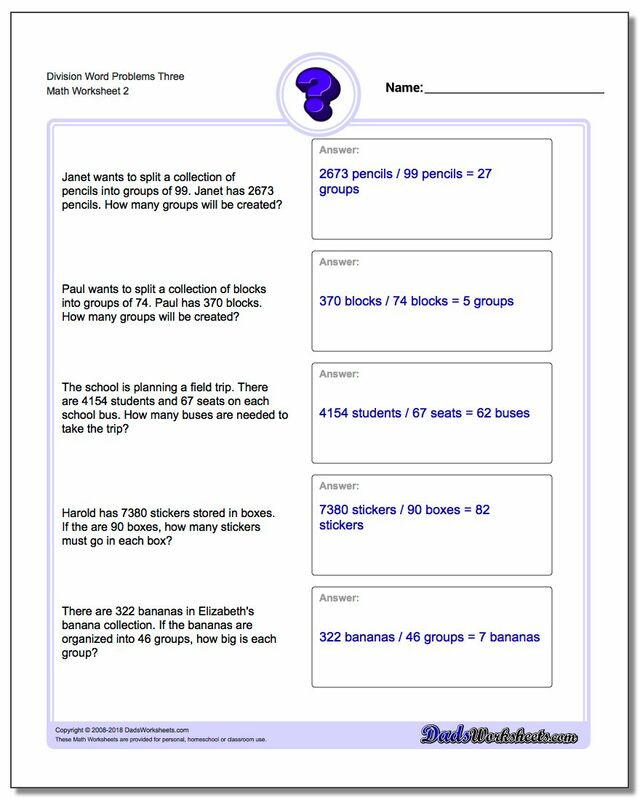 This partitioning operation is the key concept in many division story problems, and students may need to have an example explained either on paper or with manipulatives before they're ready to tackle a worksheet independently. 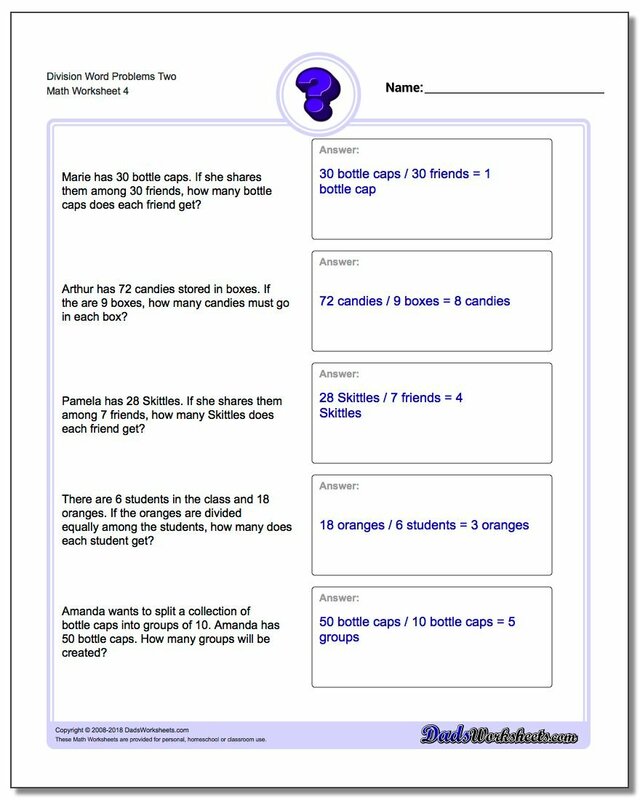 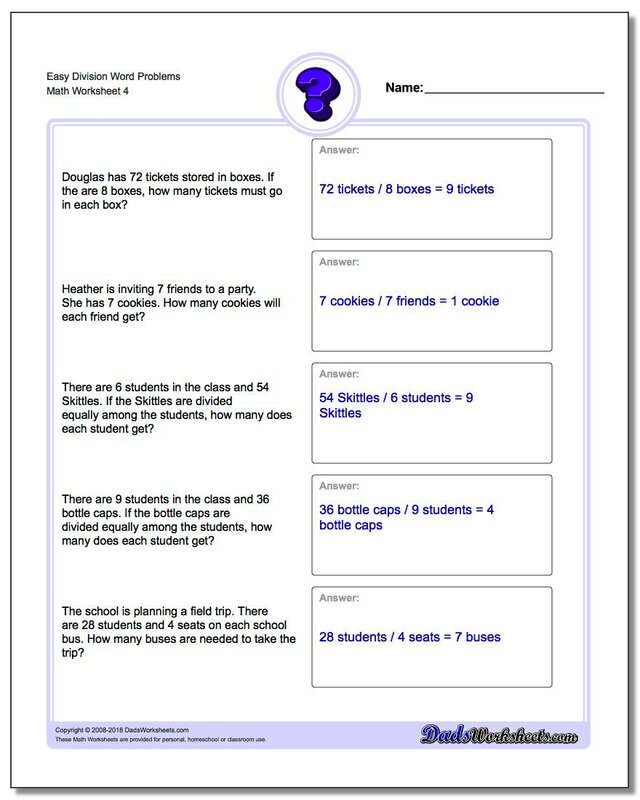 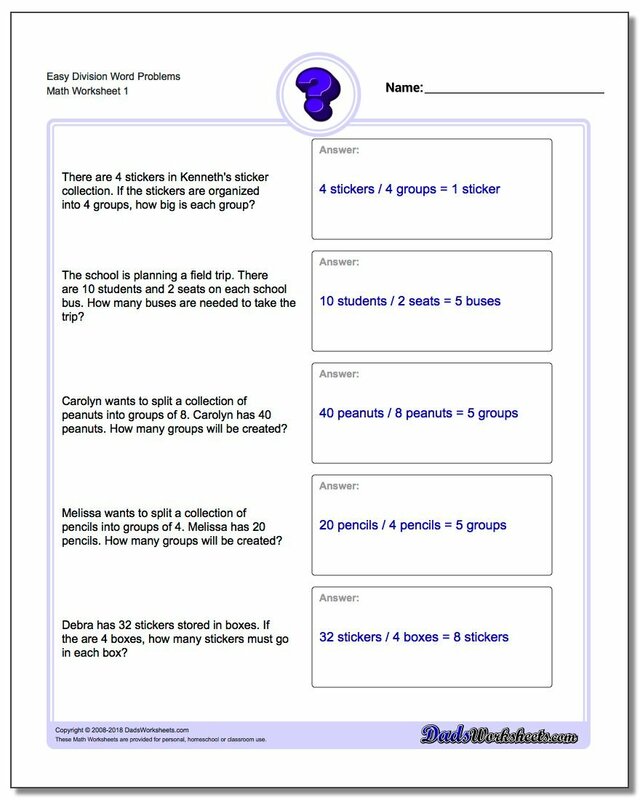 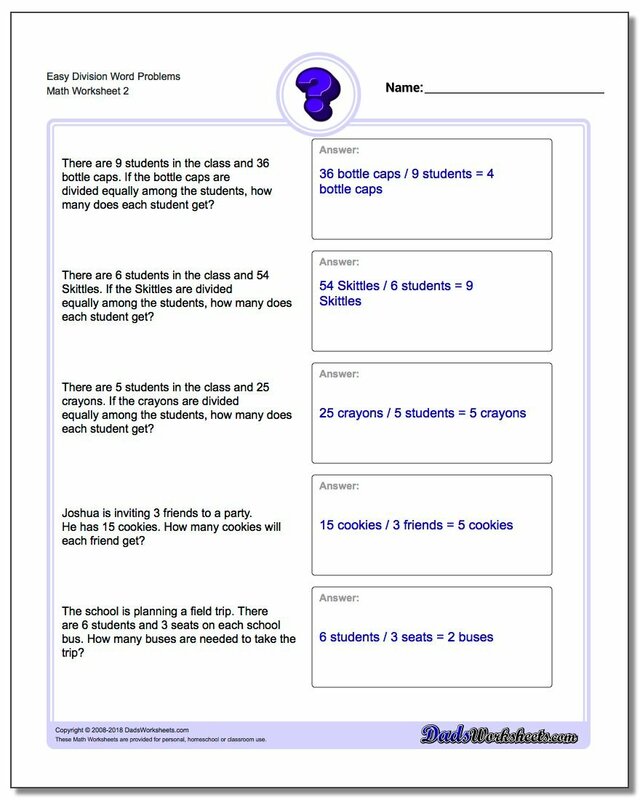 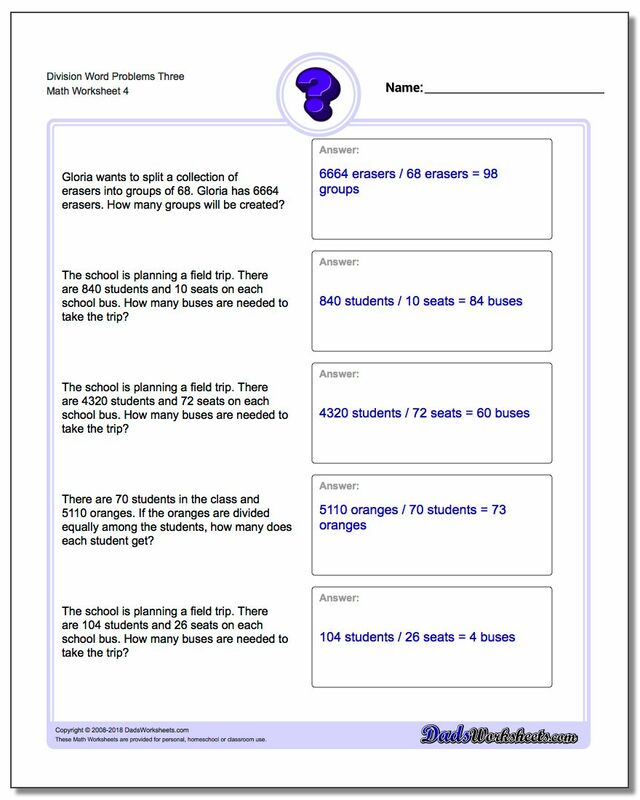 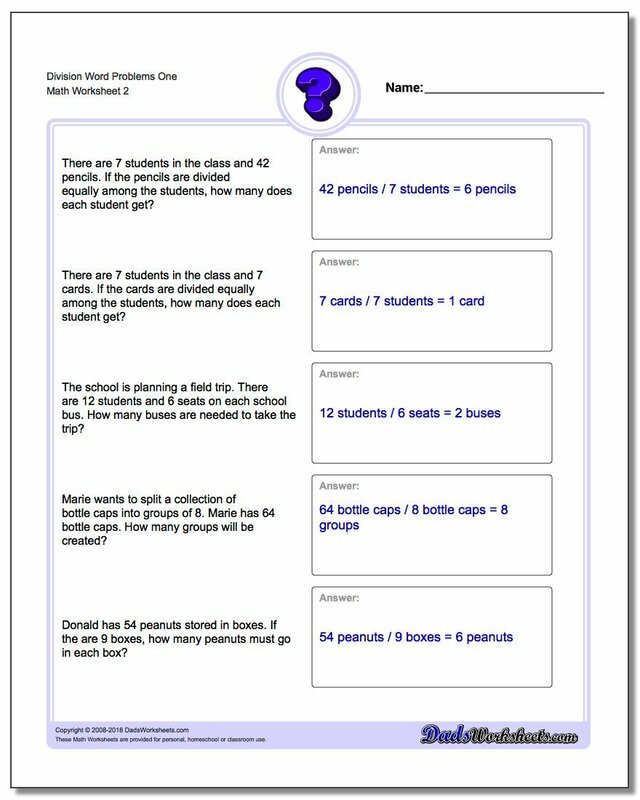 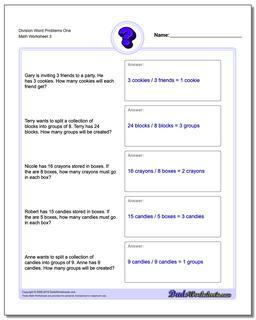 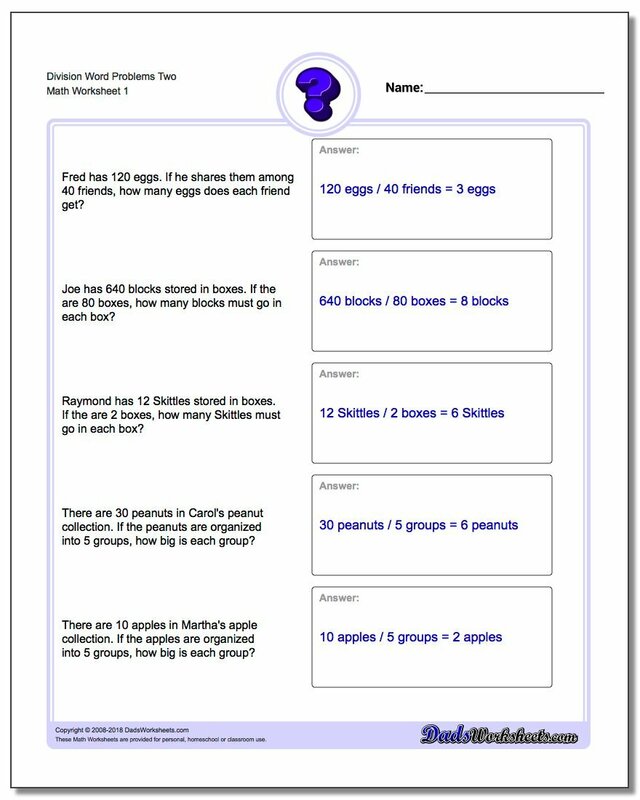 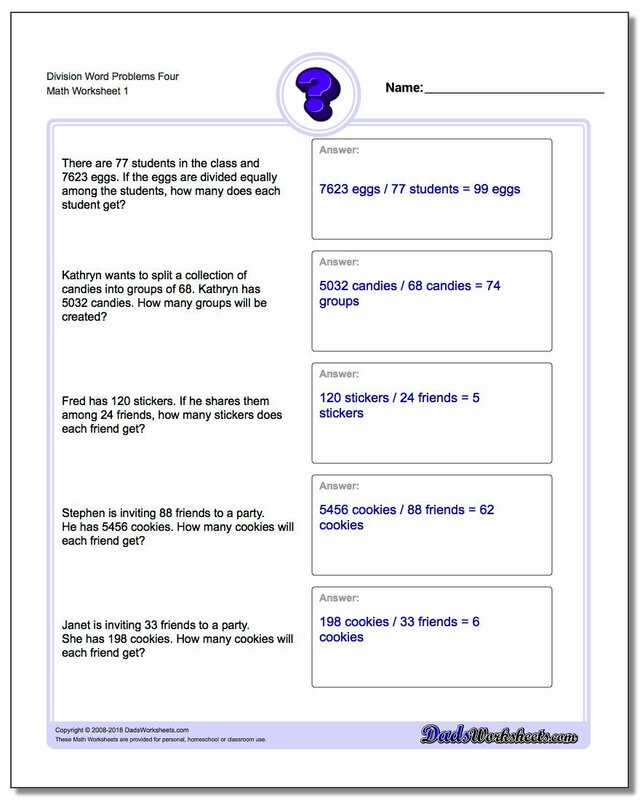 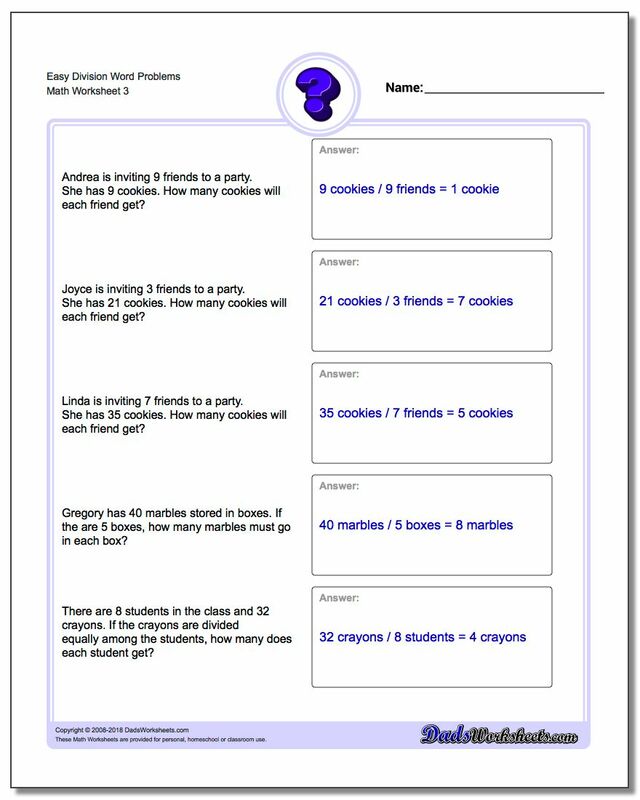 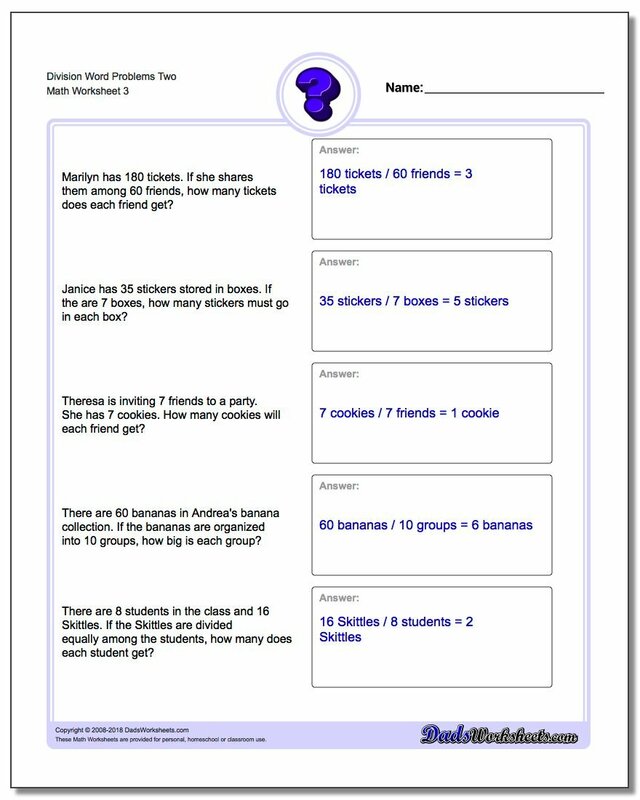 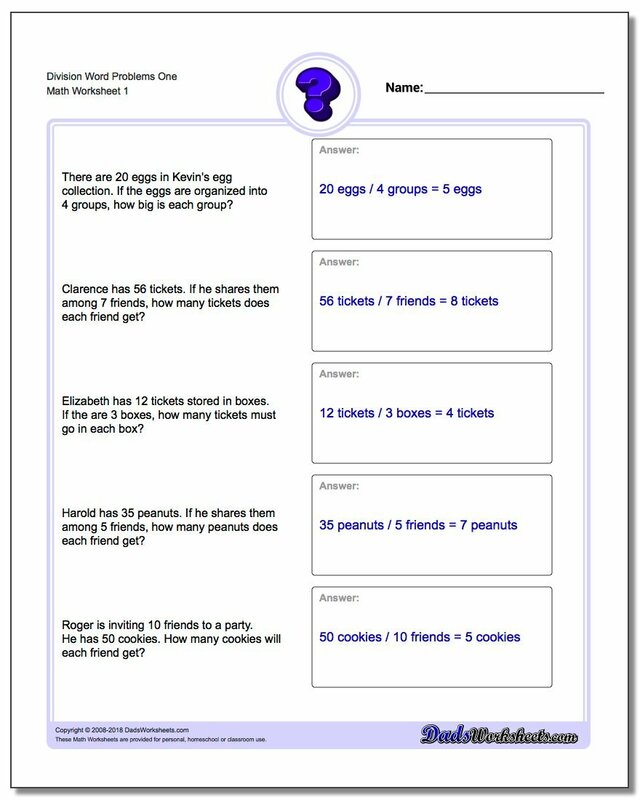 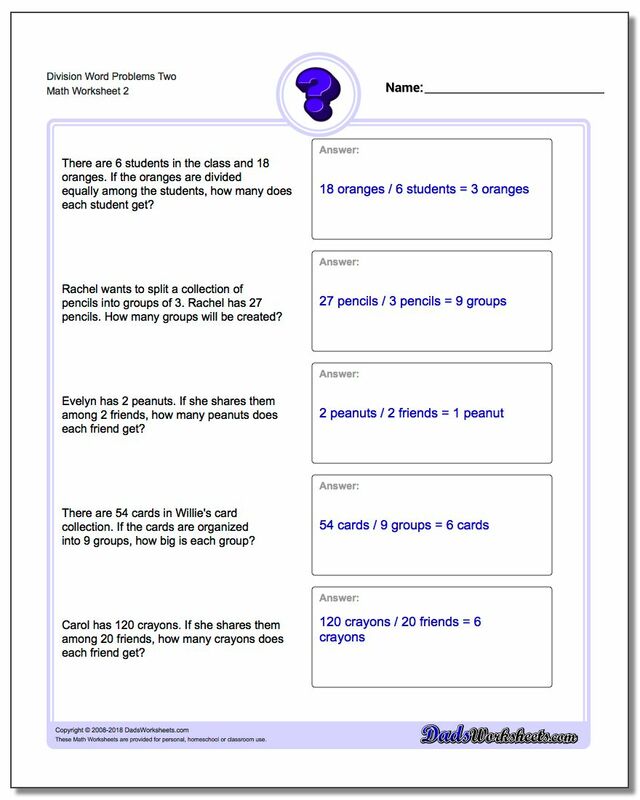 As with the other word problem worksheets here, these division worksheets start with very basic problems to help surmount this challenge. 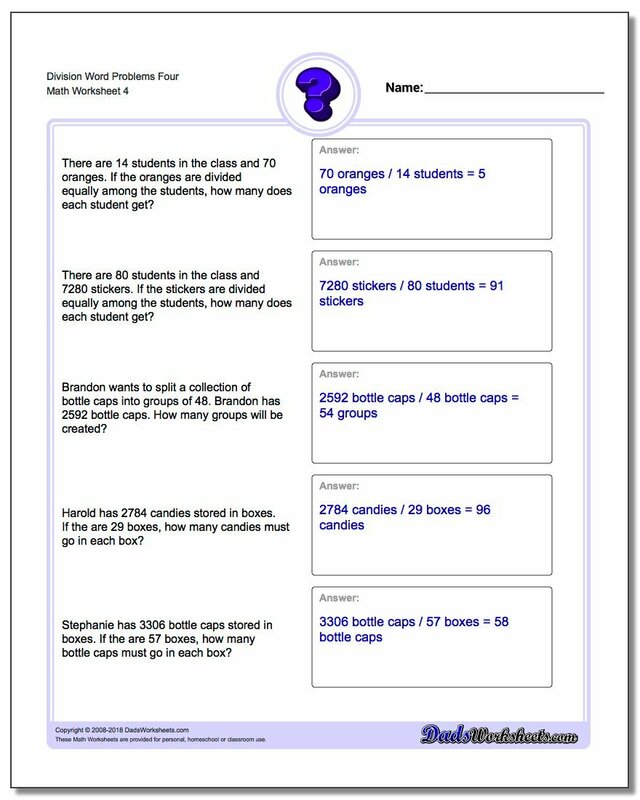 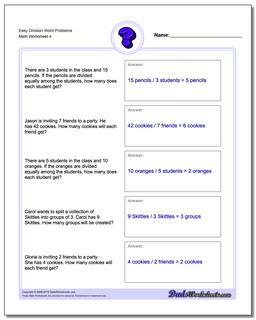 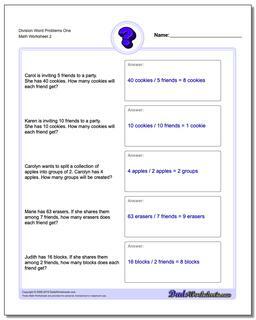 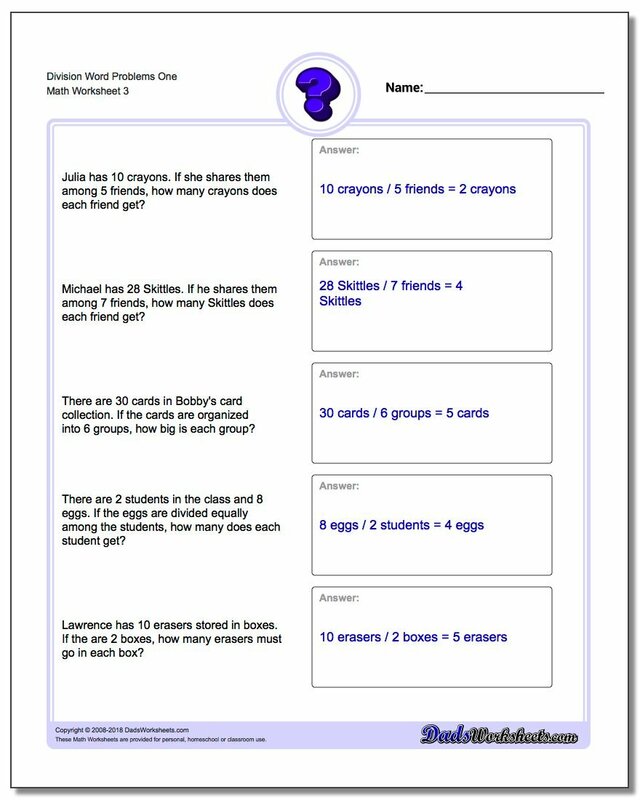 Once these division concepts are well understood, proceeding to worksheets that mix multiplication and division, and even addition and subtraction, can provide excellent practice to make sure students understand how each operation needs to be chosen appropriately based on the problem description.